Vote forlauncestion, TASTop Regional Destinations Which are Australia's must-visit destinations? You help us decide. Launceston is the major city located in Tasmania’s north and has a relaxed, charmingly old-world atmosphere along with strong historical roots and some truly stunning surrounding wilderness areas â€“ notably its iconic Cataract Gorge just a short walk from the city. Famously fresh air, delicious local produce and a bevy of fine wineries round out the greater Launceston/Tamar region’s offerings, making it a very well-rounded nature-based travel destination. Why it's special: A beautiful river-side city in northern Tasmania, Launceston is famed for the Cataract Gorge, with panoramic views, walking trails, sculpted gardens and a picturesque chairlift. The city of Launceston itself – which is the second-largest in Tasmania after capital Hobart – derives its charm from the riverside location alongside a cavalcade of points of interest including old architecture, the greenery of parks and gardens, quaint craft galleries and hill-filled streets dotted with weatherboard houses. Launceston is also a great location to immerse yourself in the wonders of nature, as Tasmania's vivid greenery plays a large role in its sightseeing and travel offerings, while mountainous landscapes and wild coasts add a hint of adventure to the proceedings. In terms of exploring its surrounds, the greater Tamar region that encompasses Launceston is highly accessible, and it's more than easy to take a day trip and travel through the mountains of the Great Western Tiers on your way to the area's ever-popular Cradle Mountain National Park, surrounded by dense, lush forest and mountainous terrain – all capped off by the unique spectacle of Cradle Mountain itself. There are also chances to travel slightly further and visit some other historic towns (each of which have their own individual character) such as Carrick, Hagley, Westbury, and Deloraine – the hub between Launceston & Devonport. Other than the man-made delights on offer, Launceston also has diverse wildlife to encounter or visit the rare water birds that inhabit nearby Tamar Island, while the unique wildlife attraction Seahorse World is a much-beloved mini-marine-park that is both reasonably priced and entertaining while also being educational. Verdant farmland makes up much of the immediate surrounds of Launceston, while the distinctive peaks of several surrounding mountains break up the panorama dramatically. These mountains aren’t just for scenery, either; those with an adventurous bent will find numerous opportunities for walking and hiking here, and multi-day journeys are a more than viable option for fully immersing yourself in the region’s nature. Charming local activities, towering forests and majestic mountains, and delicious delights for your tastebuds â€“ for a relatively small destination, Launceston / Tamar and its surrounds have a whole lot to offer both locals and travellers alike. The volume of greenery, lovely landscapes and great food make the Launceston / Tamar region a highly recommended spot for indulging both the eyes and the tastebuds. Looking to pay a visit to Launceston but not sure what to do? Here are some of its most essential experiences. What's new in Launceston in 2016/2017? Need more info on Launceston? Check out our detailed travel features on this top spot below. With an overwhelming array of activities and attractions for both young and old, Launceston has plenty to offer visitors both in their natural surrounds and city entertainment. 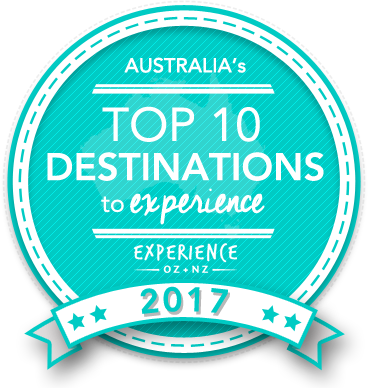 Is Launceston Australia's Top Regional Destination to Experience for 2017? Vote now for the chance to WIN an epic trip to one of Australia's top destinations!